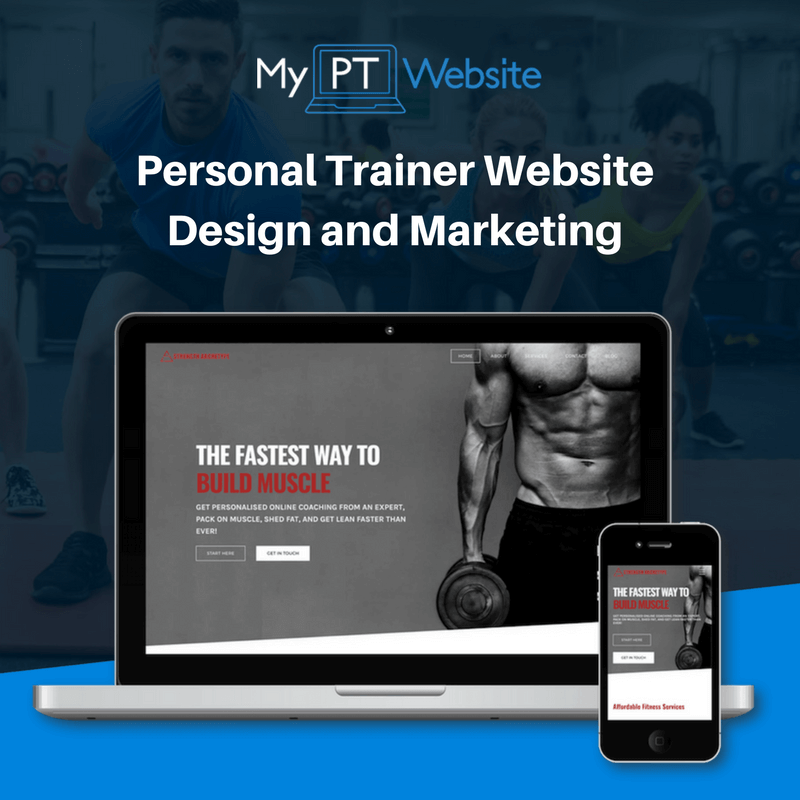 In this execution plan we're going to talk about some very basic psychological principles you can use to create a 5 step conversation plan with new clients that will help you close 90% of your personal trainer consultations. Sales are the backbone of your fitness marketing strategy. No matter how great you marketing strategies are, they're of little use if you can't convert the leads you generate in to a sale. 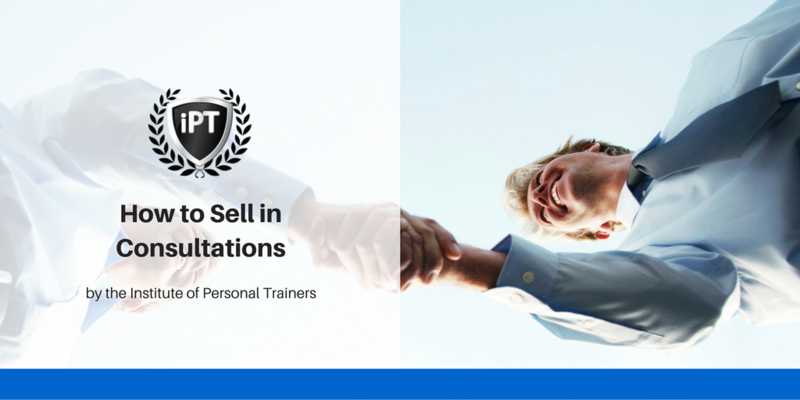 When most personal trainers think of sales, they think about sleazy door to door salesman and cold callers. They think about awkward conversations and having to try and persuade a prospective client to work with them. 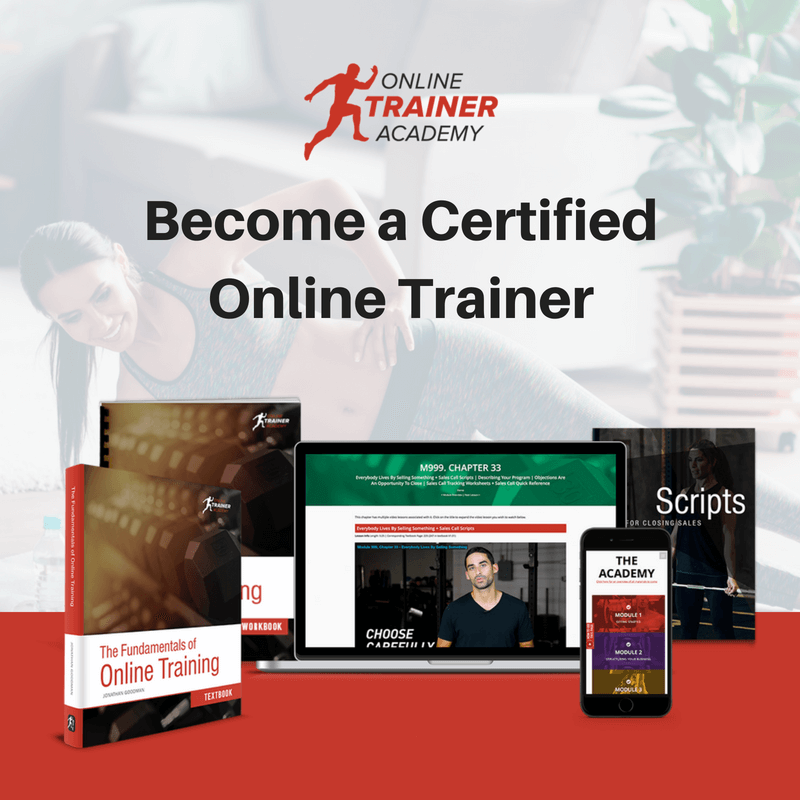 Well, sales doesn’t have to be like that and while you’re not going to get good at selling personal training consultations straight off the bat, know this. SALES ARE GOOD! Think of it this way. You’re sat with Judy who booked in for a consultation with you. She's been thinking about hiring a personal trainer for some time now. Judy has looked around, she’s done a bit of research and now she is sitting in front of you. But this is only what you see on the surface. But deep down, Judy is in PAIN. We’ll dig a little deeper in to why Judy is pain later but to provide some perspective, it would be SO much easier for Judy to have done nothing. Inaction is so easy. So much easier than taking action but for some reason, Judy has taken action and now she is sitting in front of you trying to figure out whether the money she could invest in you will take away that pain. The first thing you need to ask Judy after the usual pleasantries is this: “why have you decided to do something about your problem now?”. This question helps you to immediately figure out what the problem is. It cuts straight to the reason why Judy is sat in front of you today and helps both you and Judy to understand the urgency of her problem. Asking this question almost immediately might seem a bit obtrusive but remember, Judy has taken many steps to be here with you today and she hasn’t taken this time out of her day to talk about the weather. Plus, this question lets Judy know straight away that you mean business. Next in the introduction you’re going to ask Judy this: “why did you choose me to help you with your problem?”. This is the golden question because you’re going to get Judy to tell YOU that you’re the expert. She knows enough about you from her research or from referrals to assume you’re the right person to help solve her problem. In the next part of the conversation you need to find out why Judy is in pain. And I’m not just talking about the dress that she doesn’t fit in to anymore. Holy Guacamole! You found it. This is why Judy is pain. Judy is literally suffering at thought of walking in the same footsteps as other female members of her family. It’s not uncommon for a client to have never said this out loud before. People, especially in England where I’m from, do not talk about their feelings to strangers a lot. If you feel you’re heading in to uncomfortable ground here and you’re making the client uneasy. You can back it up a bit and come back to it later in the conversation when you have established more rapport! To do this, ask a less personal question. Something a little closer to "How's the weather?" 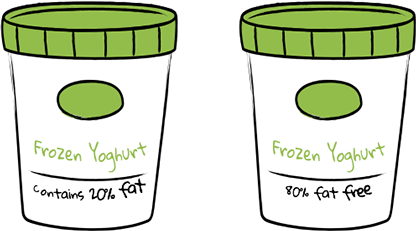 The framing effect is an example of cognitive bias, in which people react to a particular choice in different ways depending on how it is presented. For example, as a loss or as a gain. People tend to avoid risk when a positive frame is presented but seek risks when a negative frame is presented. Gain and loss are defined in the scenario as descriptions of outcomes (e.g. weight lost or gained, disease gained or avoided, etc). Now that Judy knows why she contacted you and what she wants to accomplish, it’s time to create an action plan. This is where Judy is going to list exactly what SHE thinks she needs so listen up, because this is what you’re going to tell her your service will help with. "I need to eat better food (nutrition plan)"
"I need to make sure I go to the gym (accountability)"
Judy has just told you exactly what she THINKS she needs. “Thinks” is in capitals there because that’s important. Judy might think she needs 1,000 crunches per day to get a flat stomach but you know this isn’t true. Now is not the time for education. Judy has already Googled “how to get a flat stomach”. Your job in this meeting is to see if Judy is the right fit for your fitness program and if she is, to get her on it. To close this sale and help Judy you need to write her a prescription based on her needs. Sure, your prescription for Judy is going to differ from what you might actually provide on your program but Judy couldn’t care less about your list of features. She’s here to see if you meet her needs. The rest of the conversation at this point will undoubtedly be about money. Whatever you do, DO NOT discount your services in any way. This massively undervalues what you do and if the potential client really wants to train with you, they’ll find a way to make it happen. Remember, by the time someone gets to you, they are in pain! They’ve come to you because they believe you can help them take away that pain and if you really believe that you can help them, selling them your services is the BEST thing you can do for them. Interesting point: In general personal trainers from the UK seem more uncomfortable with selling than anywhere else in the world. I’ve come to think the reason for this is because we have the National Health Service (NHS) where if you’re in pain, you go to the Doctor and they solve your problem and there is no monetary transaction. You don’t give them money. In other countries where you pay for health services, especially in Thailand where I’m living now, you PAY someone to remove your pain. People here have no problem whatsoever with selling. Just a thought. SO SALES ARE GOOD FOR MY CLIENT? Absolutely. The client comes to you to be persuaded to take action. Your job as the service provider is to remove any barriers the client has created to stop them from taking action. Kind of like when you want to buy something and you look for more reasons to buy it. ISN'T TALKING ABOUT THE CLIENTS PROBLEMS A BIT PERSONAL? It certainly is and it's up to you to detect the signals you pick up from the client and dictate the direction of the conversation. If you sense the client is getting uncomfortable with the depth of the topic, back it off a little until they're ready to move forward. SO I SHOULDN'T SELL SET PACKAGES? ​Sort of. When personal training people you pretty much provide the same service to everyone. You make them fitter and healthier. But you package that service so it's more specific to the clients goal. Look at it this way. If your client wants to lose fat, they need to get healthy right? Because healthy people typically have less fat. But you offer the client a fat burning workout because that's what they think they need right now.That is a good question. You could pay a company to give you a bunch of figures in a chart, but then you could just get most of what you need from doing your own research online for FREE! Also by performing your own research you begin to get a feel for your market and most importantly your potential clients. A report can't show you your ideal clients images, likes, comments, what they follow and how they use some of the marketing tools you hope to use in your own PR.